Represent a quantity given by a shaded region as an improper fraction and as a mixed number. Experiment with different shaded regions sliced differently. 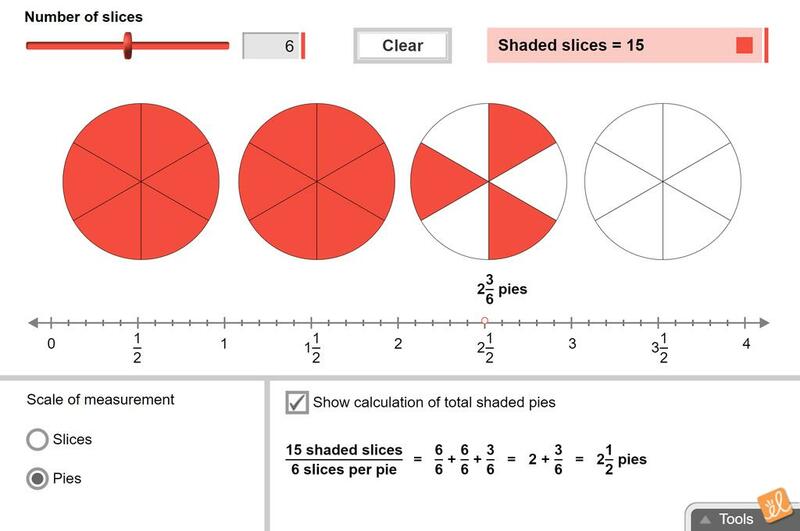 This document is the French translation of the Student Exploration Guide for Improper Fractions and Mixed... (more) Numbers. This translation was made possible by Alberta Regional Professional Development Consortia and ExploreLearning. This document is the French translation of the Assessment Questions for Improper Fractions and Mixed Numb... (more)ers. This translation was made possible by Alberta Regional Professional Development Consortia and ExploreLearning. This 2 page document contains an instruction page and then a page with 14 questions for the student to pr... (more)actise changing mixed numbers to improper fractions. Was great for my students who still struggled after the lessons I thought as a whole group. They "GOT" it! Yeah!! !